Seems like the Creator's Corner thread has been dead lately. Hope this will add a little life. Imagine if Mega Man had to defeat Dr. Wily using only a badminton racquet. That's the premise behind Badminton Warrior, a 2D action platformer reminiscent of the 8 and 16 bit games of the past. 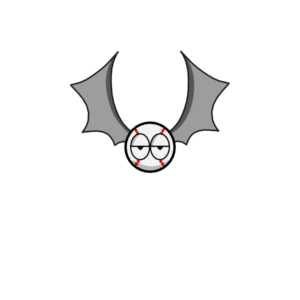 Clear, drive, and smash your way through 16 levels of challenging enemies, traps, and puzzles on your journey towards facing the ultimate evil in sports, the Bellighost. AJ, Jing, Mindy and Ral go out to play badminton one day when a dark, hooded figure appears out of the sky and kidnaps Mindy. Unable to play a game of doubles now, Ral becomes determined to rescue his friend. A mysterious old monk then materializes and gives Ral an enchanted badminton racquet, explaining that his ancestors used it to defeat their greatest enemies. Ral sets off on a quest that will bring him from the highest mountains to the depths of Hades en route to his ultimate destiny... becoming a badminton warrior! • Unique gameplay where you damage enemies by hitting projectiles at them with your racquet, but you cannot damage anything with the racquet itself. • Sports themed levels, enemies, and bosses. • Crazy cast of characters including a hockey player who thinks he is a god, a lacrosse player running an insane asylum, and a basketball player who turns a championship trophy into his wife. • A humorous, outrageous story that does not take itself too seriously. • Great sounding 8 bit music and sound effects. 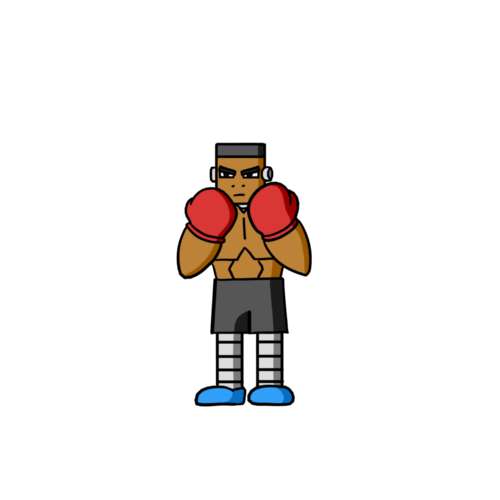 As stated in the features, you fight enemies by smacking projectiles back at them. You can do clears, drives, or smashes. Each technique is accomplished by holding a direction on the controller while hitting the swing button (The exception is the drive technique where you can just hit the swing button). What makes this game unique is that you cannot damage the enemies with the racquet itself. This requires a little thinking when trying to tackle different enemy types. Simple example of a drive shot. Here is a clearing shot. Last but not least... the SMASH! Who am I... Why am I here? 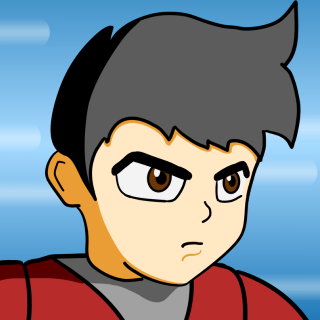 My name is Ralph Wong, and I am the sole developer of Badminton Warrior. Around two years ago, I was sitting at a place called Hacker Dojo when a stranger introduced me to Unity. From that point forward I was hooked on video game development and have been doing it ever since. Working day and night, seven days a week, I now have a pretty complete beta version of the game finished. It has been a rewarding yet isolating experience. I hope to interact with people on this forum and hear their thoughts on my game. With the early access release coming this Thursday, I thought I would talk about one of the best points of Badminton Warrior... THE BOSS FIGHTS! The bosses for the first two levels are fairly easy. This is intentional to get the player comfortable with the controls and game mechanics. After that, the boss fights get much harder even in the levels marked as easy. The player will be presented with eight levels they can tackle in any order they feel like. Can anyone tell I'm a huge Mega Man fan? Right now there is no life system in the game. That means that players can continue at checkpoints to their hearts' content. This also means they don't have to replay certain parts of a level over and over again in order to get back to a boss fight. I know many old school games make players do this in order to increase the challenge and lengthen the gameplay time. I personally hate having to retread parts of a level just to get back to a boss fight. Because I made Badminton Warrior, I can take out all those things that frustrate me with other games. Kirks is a hunter who prides himself on killing big game and hanging their heads on his wall. He is well equipped to tackle any sized prey with his armored tank, machine gun, and grenades. He eventually goes after the deadliest prey of them all... human beings. Based on the character from Apocalypse Now, he was a really fun boss to make. Kirks has three different types of attack. His machine gun attack is fairly easy to dodge by simply jumping over it. The turret attack is a little more difficult to avoid since three shells are shot in succession, but if the player can smack the shells back at Kirks, it causes major damage. Conversely, if the player is hit by a shell, it takes away a good deal of health. The final attack is a barrage of grenades he throws. This is by far the hardest attack to dodge. The good news is that sometimes Kirks accidentally hits himself with his own grenade. I originally called this guy the Clockman. Then I decided to make him talk like a Smurf, where he would use the words "Tick" and "Tock" as if they had multiple meanings. Of course, it just made sense then to call him TickTocker. Because he lived in a clock tower, I thought of Big Ben in London. From what I understand, cricket is a big deal over there so I made him a cricket player. Additionally, Clockwork Orange was a famous British movie, and I based his look a lot on the main character of that film. TickTocker also has three different types of attack. He will tumble around spinning his cricket bat like a weapon. He will tumble on the ground turning himself into a buzzsaw. And he will lunge at players swinging his bat like a sword. 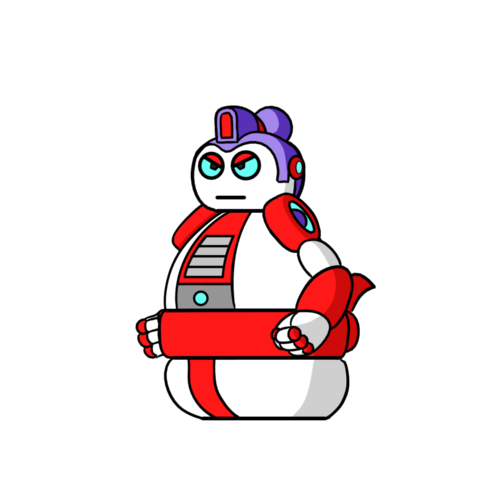 As he is attacking, pitcher bots will be throwing cricket balls at the players that they must dodge and use to counterattack TickTocker. His movements are extremely fast, but players can slow him down by hitting the three wickets on the far side of the room. I don't think it takes a genius to figure out who this boss is based on. :durr: Living in a house made of gold, KingBaller rules over his property that is filled with money, cars, jet skis, yachts, and Olmec heads (I was thinking of the most useless, luxury item a person could have in their house, and the Simpsons came to mind). Isolated too long in his mansion of treasures, he has become delusional and actually believes himself a king. 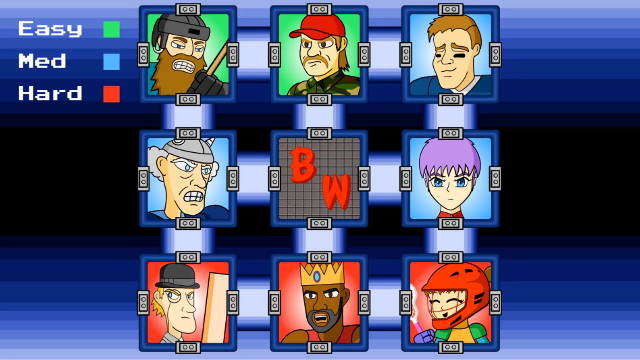 Within this level, various portraits of KingBaller show important events in his life. These portraits take a strange but humorous turn at the end, which I won't give away here. KingBaller has several different attacks. He will run to the sides of the room and throw basketballs at the player. He will stop and bounce basketballs off the ceiling and floor. He will also attempt to shoot basketballs through the hoops which will cause spikes to fall from the ceiling. These spikes cause a great deal of damage. To prevent them from falling, players can use the jumping boards to elevate high enough to block the shots. They can also shoot basketballs into the hoops themselves and turn the spikes against KingBaller. Well, that's just a quick rundown of three of the bosses. There are plenty more in the game, and each has their own unique characteristics and attack methods. Hopefully you found this update enjoyable and I look forward discussing the game with players after the launch. Badminton Warrior Early Access releasing November 15, 2018! I spent the last few days creating some gameplay videos for Badminton Warrior. It's my first time doing it, so I had a difficult time trying to figure out how to get OBS, Audacity, and iMovie all to work together. I'm not sure if people prefer gameplay with no commentary or if they like hearing me talk about the game while playing it. Guess I'll find out. Don't know if this will be helpful to anyone, but I have started an indie game marketing dev log for Badminton Warrior. When I started marketing, I watched a bunch of videos and read articles on what I should do. However, none of them went into specifics. Although I understand each game is different, it would have been nice to see some real life examples, to see what worked and what didn't work for a game, to know how long it took to get traction. Since I didn't find anything, I decided to do one of my own. Let me know your thoughts and experiences with marketing your game. I definitely could use any advice. Thanks. Early Access Releasing Today with FREE Demo! After two long years of working almost every day, I am happy to finally announce the early access release of Badminton Warrior! So what is this strange and whacky game about? In a nutshell, it is a 2D action adventure platformer where you fight evil with a badminton racquet. Clear, drive, and smash your way through sixteen levels of challenging enemies, traps, and puzzles on your journey towards facing the ultimate baddie in sports, the Bellighost. What makes Badminton Warrior a unique gaming experience is its original combat system. While many games give you a sword, axe, or other melee weapon, you are tasked to take down your foes with a badminton racquet. Luckily, this racquet is enchanted and can deflect almost any projectile launched your way. However, the racquet cannot damage anything by itself. There are three main methods of attack. The drive is the easiest attack to perform. When enemies shoot projectiles at you, simply swing your racquet and send those projectiles right back into their faces. Clears are a little more difficult to perform especially when the attack is coming from above. They are great for hitting enemies on the ceiling, arcing a shot, or setting a projectile up for a smash. The one drawback of clearing shots is that they reduce the damage caused by the projectile in half. This is the most powerful attack in the game. Smashes can be performed while jumping in the air or climbing a ladder. They deal double the normal damage but are also more difficult to perform. Sometimes players will need to use a combination of shots in order to attack enemies. In this case, the blue tennis launcher has a shield in front of him. The only way to get around it is to clear the shot over its head first, then attack him from behind. One of the things that annoys me in video games is when the same challenge is repeated over and over again in an attempt to lengthen the gameplay time. I strived to make Badminton Warrior in a way that would present the player with a variety of challenges so that the gameplay would not become predictable and stale. The following are a few examples. In the space level, players can teleport from one place to another instantaneously. The problem is, so can their enemies and projectiles. This can create some chaotic combat as things move rapidly around the screen. Players will also have to figure out how to hit certain enemies and door switches by using the teleporters to their advantage. The basketball level requires players to sharpen their shooting skills as they must make baskets to open up doors. It's a good thing Ral is a better free throw shooter than Shaq. The ball bouncing mechanic also allows for some interesting combat since some enemies can only be hit by ricochetting a basketball off the walls. One of my favorite levels of the game. There is just something satisfying about killing enemies by smacking a spiked tetherball around. Three different kinds of tetherballs require players to utilize them in three different manners. I won't give away how, but they all are pretty fun. With a cast of over thirty-five characters and bosses, players will encounter an array of challenges. Some of the enemies will make people laugh or smile. Others will make them think WTF? 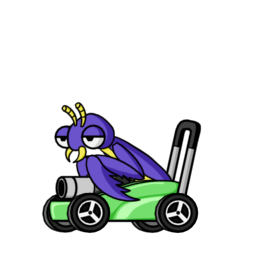 A mantis driving a racing lawn mower. A sumo bot that can launch rockets. A baseball bat, get it? So for those interested in playing Badminton Warrior, the current release date for early access is set for November 15, 2018. There will be a special launch discount of 40% effectively making the price around $5.99. A free downloadable demo will also be available for anyone who wants to try the game before purchase. The demo includes the first two introductory stages plus the ice and space levels. Purchase of the full game unlocks all sixteen levels. The game is for the most part complete but is missing an end credit sequence and for good reason. I am hoping to get player feedback and suggestions on how to make the game better. I plan to be active in the community groups and will do my best to troubleshoot, answer questions, and implement ideas that I think are worthwhile. Contributors whom I believe are extra helpful will get a credit in the game. I'm really looking forward to seeing people finally play Badminton Warrior as I have spent many of late nights making this dream into a reality. I certainly hope not. There is still so much to talk about, and I'm looking forward to discussing the game with other players. Nevertheless, you can only put so much material in one article. If you made it this far, thanks for reading and taking an interest in my game. That's all from me at the moment. Hope to see you on the Badminton Warrior community groups soon. The gameplay looks, from the videos and description at least, like it is pretty fun. I do worry the visuals might hold it back, though. They don't look bad, but I think there's a lot of room for growth. There are so many indie games fighting for dollars, especially on Steam, that lacking a strong, distinct visual style could keep this from standing out of the crowd. And that would be a real shame if the gameplay really delivers on what I think is a strong mechanical premise. I hear you. I wish I was better at background artwork. I see other games where the characters are less detailed than mine, but the background artwork is amazing. It gives the game that visual pop. I am hoping that players will still give this game a chance, because the gameplay mechanics are really fun. For my next project, I'm definitely hoping to work with an artist who specializes in backgrounds so I can focus on doing animations. Thanks for the feedback. I see a lot of Mega Man, Castlevania and Michael Jordan "Chaos in the Windy City" spirit from your game (demo pics).. good luck! So after two years of hard work, I finally released Badminton Warrior as an early access title. Currently, I'm trying to find people interested in playing the game and giving their input on how it should be improved. There is a free demo for those who want to try it out. Even if you only play the demo, you can probably contribute something in the community groups. I'm all ears and have already implemented some of the suggestions. So try out Badminton Warrior and join the discussion. Hope to see you in the community groups. Congratulations on the early access release! It definitely looks interesting.